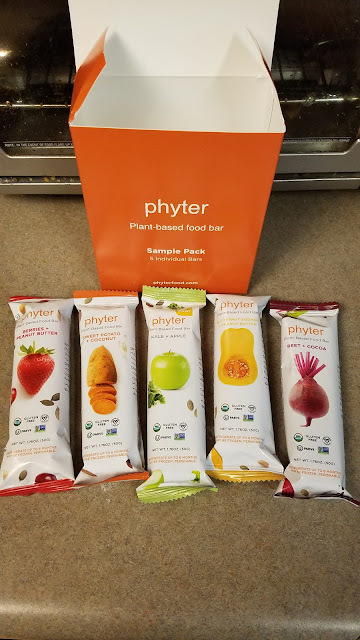 Make Packing Lunches & Snacks Healthier and Tastier with Phyter Food Bars! The struggle is REAL!...The struggle of constantly trying to find healthy, nourishing and filling snacks and foods for my kid's lunches at school!!! With manic mornings, small children and pure chaos the norm in our house every school morning, it is becoming harder and harder to implement a healthy eating lifestyle, especially for their school lunches. So today I am here to help anyone who is struggling like me!! Let me introduce you to a company that is helping me and my family with healthy foods and snacks and has quickly become one of our newest favorite brands! Phyter Food is the creator of 100% plant-based food bars. Whether adding the bars as a topping to your kids’ favorite smoothie bowl or throwing a bar to the kids in the back of the car on the way to school - they are both healthy and convenient. The food bar line features Kale + Apple (think apple pie), Berries + Peanut Butter (think PB&J) and Beet + Cocoa (think brownies) flavors that use fresh vegetables and fruits as the leading ingredients and are loaded with phytonutrients – hence the Phyter name. You won’t find any preservatives hiding in the bars, which is why they’re found in the refrigerator. Plus, Phyter bars are GMO-free, gluten-free, soy-free, dairy-free, kosher and vegan—creating a food everyone can enjoy, even those with dietary restrictions! In a house, where my husband has to avoid all allergens like soy, gluten and dairy, I am so happy to find a company that provides foods that we can all eat...and ENJOY! At first, the flavors made me a little nervous, but once I tried the bars, I was hooked! ALL the flavors were delicious and these were a hit with the children as well as the adults in this house! These were great to throw in a kid's lunchbox for a snack or lunch as well as on the go for me for breakfast! Make mornings easier and lunch packing smoother with Phyter bars this school year! You can purchase Phyter bars online from their website.